Sejima Kazuyo was born in Ibaraki, Japan in 1956. After graduating from Japan Women’s University in 1981 with a master’s degree in Architecture, she joined the firm Toyo Ito and Associates. Six years later, Kazuyo opened her own practice and became known for her sleek, modernistic designs. One of her first hires was Nishizawa Ryue, a student who had worked with her at Toyo Ito. Together, they went on to establish the Tokyo-based architectural firm, SANAA. SANAA has since designed a number of innovative building in Japan and around the world, including the Rolex Learning Center in Switzerland; the Toledo Museum of Art’s Glass Pavilion in Ohio, the New Museum of Contemporary Art in New York; the Serpentine Pavilion in London; The Christian Dior Building in Tokyo; and the 21st Century Museum of Contemporary Art in Kanazawa. 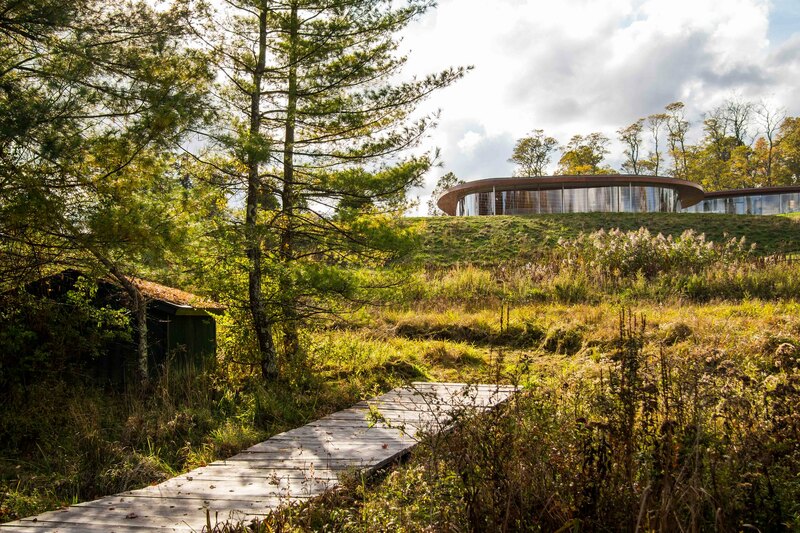 In 2015, the 2010 Pritzker Prize laureates broke ground on a multipurpose building and landscape project for Grace Farms in New Canaan, Connecticut. 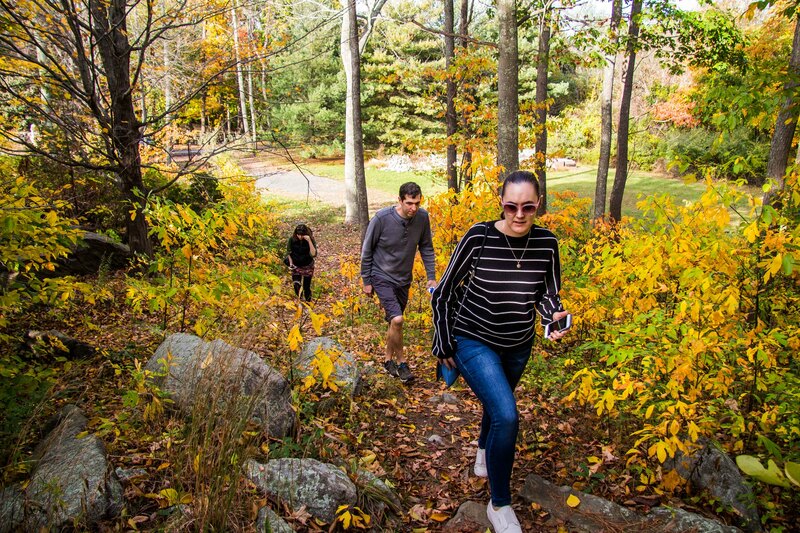 Owned and operated by the Grace Farms Foundation, Grace Farms is an 80-acre natural habitat that serves as a non-profit community center for people to experience nature and the arts, foster community and explore faith. 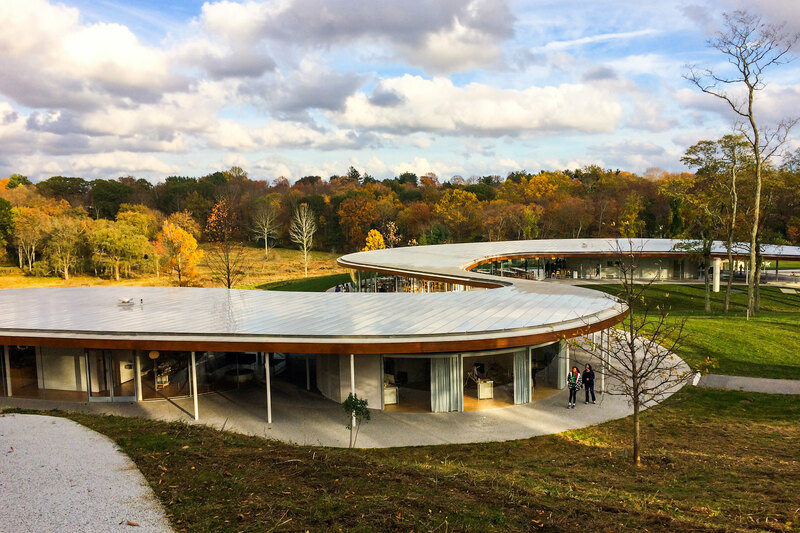 At its center of its rolling topography of meadows and forests is the River, the main building that houses a library, a community space where guests can purchase food and drinks, a pavilion where musical performances are held, and an indoor gymnasium. 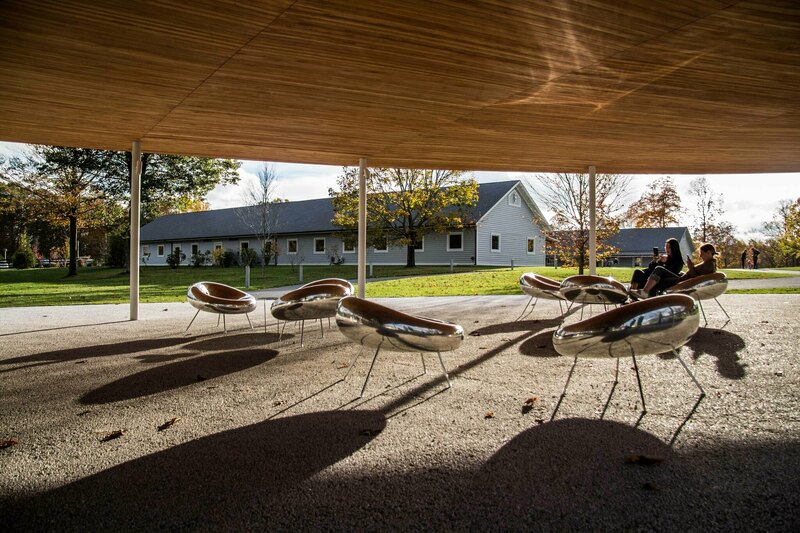 An original barn was also renovated on the property and houses classrooms, an art studio, a rehearsal space, offices, a lounge, a nursery, and a drop-off food pantry. There are also walking trails around the property. A single, meandering rood connects the spaces, which follow the natural curves of the hill it was built on. SANAA’s goal for the River was to have blend into its surroundings, to not feel like a building at all. 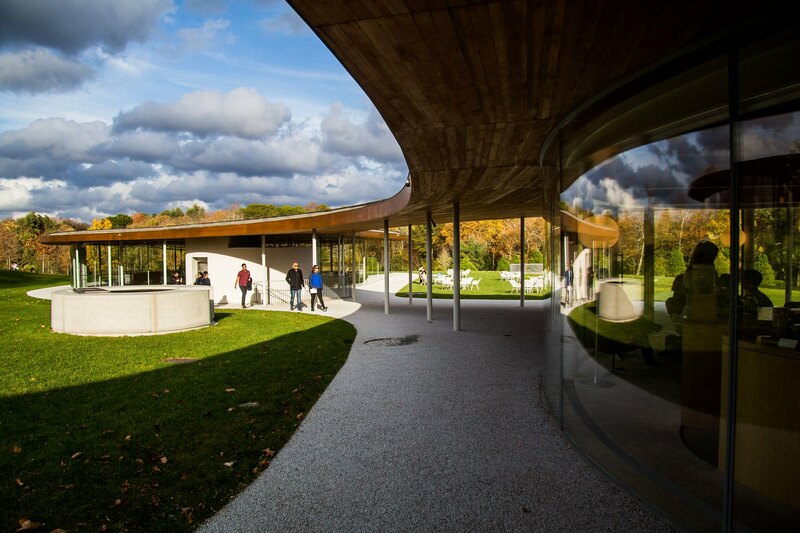 The walls are almost all transparent, inviting people to engage with the natural surroundings. 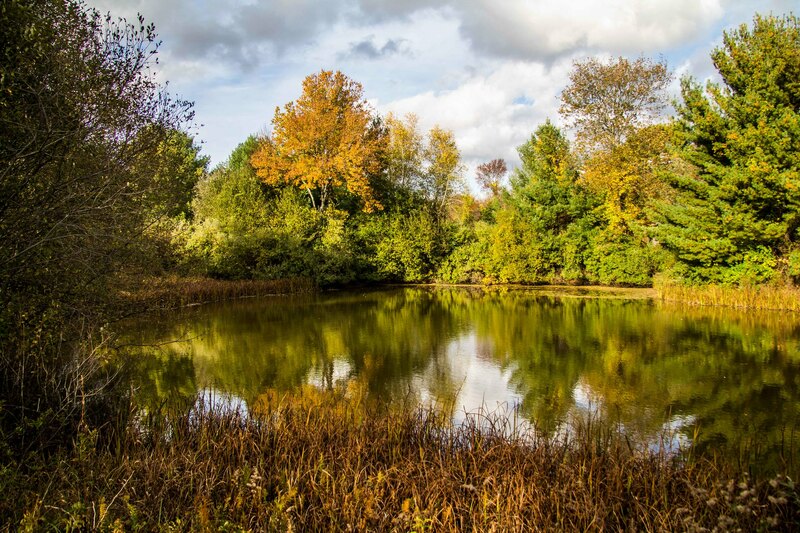 The landscape of meadows, wetlands and ponds was once filled with small-scale farmsteads, made way for by the clearing of deciduous hardwood forests in the 1940s. 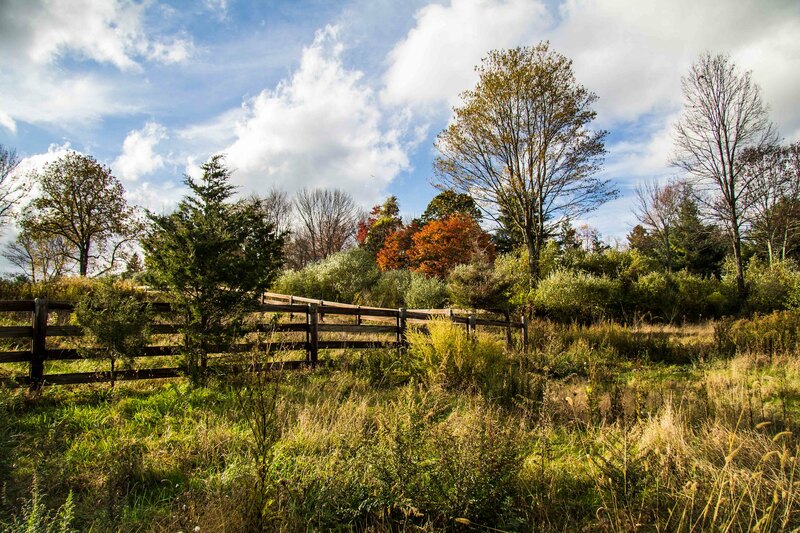 Over the next 70 years, as New Canaan became more and more suburban, the growth of secondary woodlands reclaimed much of the area. 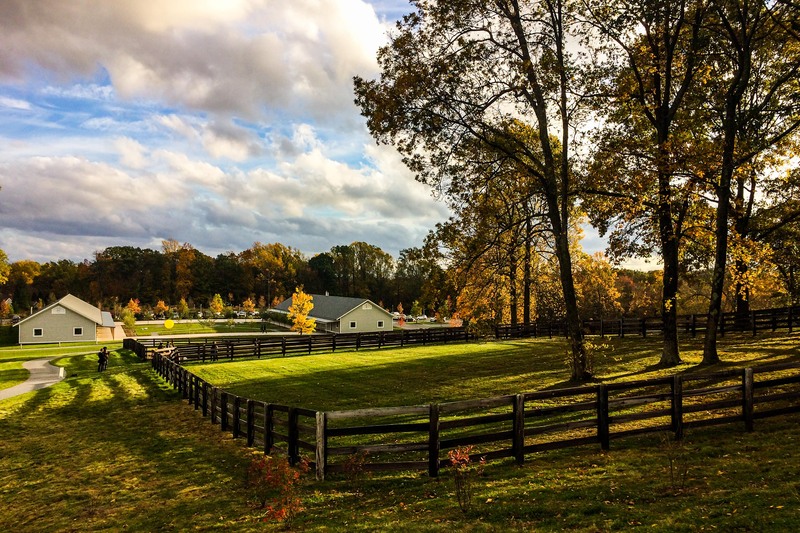 In 1991, the property was purchased by Winsome Farms and converted into an equestrian farm, with 24 paddocks, an exercise ring and a 30,000 sq. ft. barn with 52 stalls. A decade later, Pacific Farms bought the property and rezoned the farm into the 10-lot subdivision. 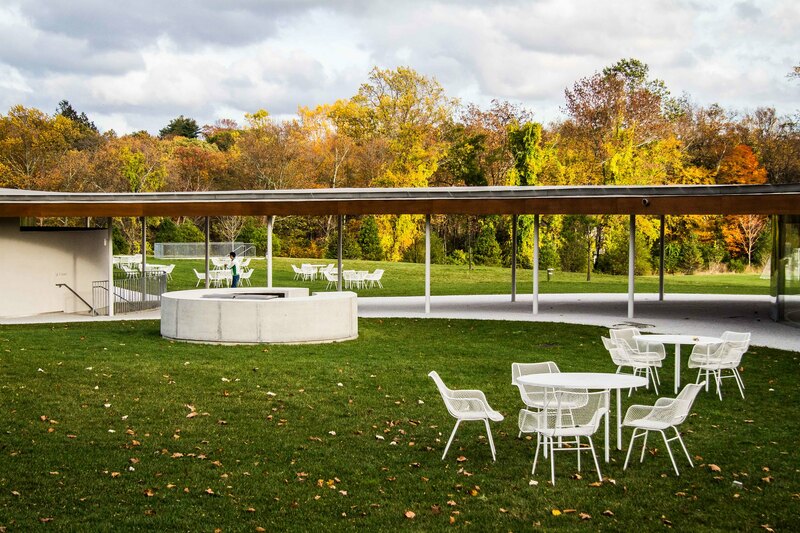 In addition to its role as community center, Grace Farms provides a platform for other non-profit organizations by offering support and space grants. 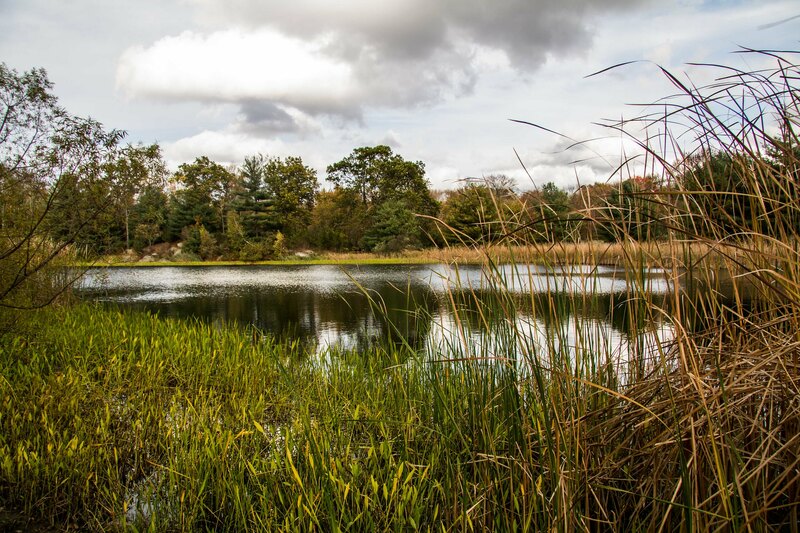 To find out more about this and the other work that Grace Farms does, click here.